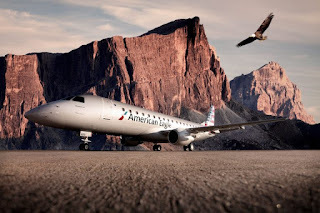 Embraer and American Airlines Inc. signed a firm order for ten E175 jets. American Airlines is exercising its purchase rights from its original contract with Embraer signed in 2013. This new order is in addition to the one placed in April for four aircraft; is valued at USD 457 million, based on current list prices, and will be included in Embraer's fourth-quarter backlog. Deliveries begin in 2018 and continue through mid-2019. Combined with the airline's two previous orders for the E175, this new contract results in a total of 74 E175s for American Airlines. "Because of its excellent operational performance, the E175 has proven to be the right solution for American. This repeat order demonstrates the confidence that the airline has in Embraer and in the E175," said Charlie Hillis, Vice President, Sales & Marketing, North America, Embraer Commercial Aviation. "We are proud to be part of American Airlines Inc.'s overall fleet vision and are dedicated to serving their business needs."